If you maintain a sourdough starter, you know that every time you feed it, you need to discard a portion of it so that you don't end up letting your starter take over the house, or even your town. This recipe for Sourdough Date Nut Cranberry Muffins is perfect for using the starter that you'd normally toss out. Another advantage to adding sourdough starter to your quick breads is that it helps keep them fresh longer. I don't know why... something about the acidic nature of the starter and moisture retention. If you want to get your bread geek on, check out page 49 of Jeffrey Hamelman's amazing book, Bread. You will learn all about stuff like "starch retrogradation," which means "staling." Regardless, these muffins are really good. They are sweet, but not overly so, and so moist from the dates. I'm sure you're wondering why I had access to cranberries in early September. It's because I buy several bags of them every Thanksgiving and stick them in the freezer for times like these. They freeze amazingly well, and seem impervious to freezer burn. You never know when you'll have a cranberry emergency. Note: If you don't have a sourdough starter, you can make a poolish by mixing 4 ounces of flour and 4 ounces of water and a pinch of yeast. Mix the flour, water, and yeast in a bowl, cover it, and let it sit overnight. When you are ready to make the muffins, add all of the poolish to the dough instead of the starter. These muffins get their gorgeous golden brown color from a mixture of boiled dates, sugar, and butter. I was kind of blown away with the technique, and was a little worried when the baking soda in these muffins bubbled up the entire batter due to the warmth. No worries. 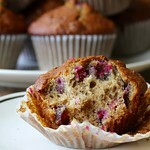 the muffins still rose beautifully and had a wonderful airy texture. 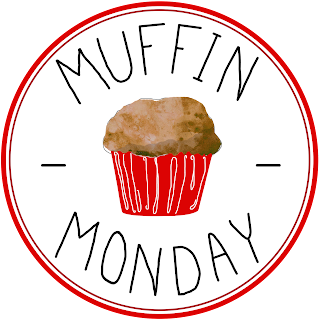 After the recipe, be sure to check out the rest of the delicious muffins from the Muffin Monday baking group. Preheat the oven to 400 degrees F and line a muffin pan with paper liners. In a medium saucepan, combine the water, dates, sugar, butter, and vanilla. Heat the mixture over medium heat, stirring regularly, until it comes to a boil. Remove from the heat. Add the cranberries, and stir until the mixture cools to a temperature of about 100 degrees F.
Add the walnuts, eggs, and sourdough starter, and stir. In a small bowl, whisk the flour, baking soda, and salt, and then add it to the pan. Mix until the flour is just incorporated. Portion the batter among the muffin cavities. The batter should come just below the top of each muffin liner. 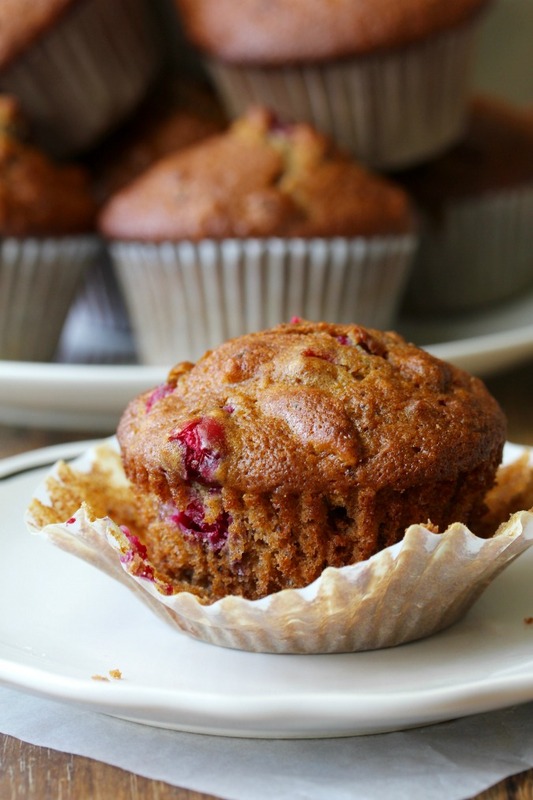 Bake the muffins for 17 to 19 minutes, until a toothpick comes out clean. 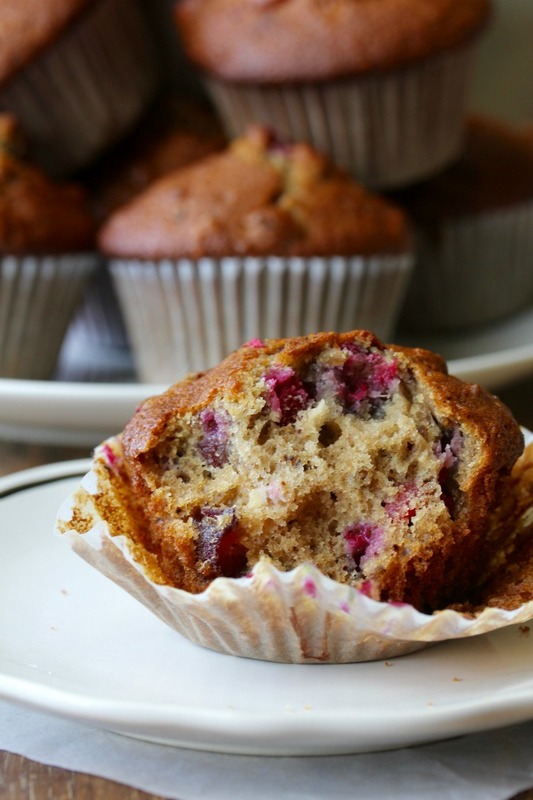 Gently remove the muffins from the pan and cool on a wire rack. Recipe adapted from Sift Magazine, Fall 2017 This issue has several quick bread recipes for using sourdough starter. I haven't yet decided if a sourdough starter is worth the time and bother but you certainly offer great recipes that make me think I am missing out on something. 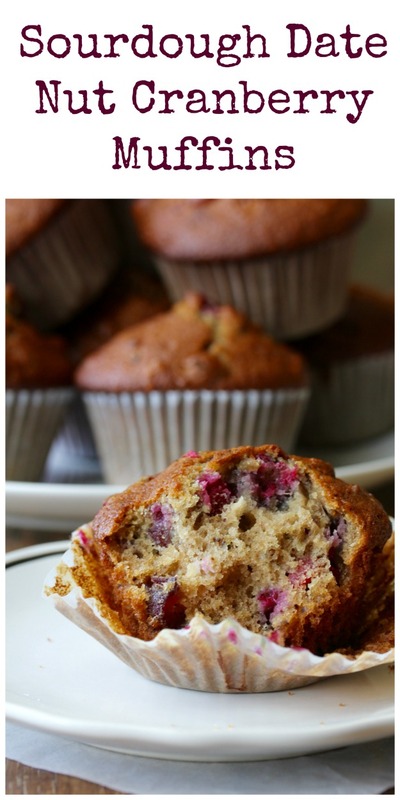 It's kind of an obsession for me =) If you want to make these muffins though you can use a poolish! a cranberry emergency- yes! i totally relate to that. i always freeze some around the holidays too. :) these muffins sound wonderful. What gorgeous muffins, Karen! I do exactly the same with a bag or three of cranberries. They really do freeze beautifully. I made a sourdough starter a while back, in anticipation of our Bread Bakers event next month but I fear I have sorely neglected it due to all the traveling in August and September. I may have to start over when I get home. But I've learned something today with your muffin recipe and I will definitely use your tip for my discard now. 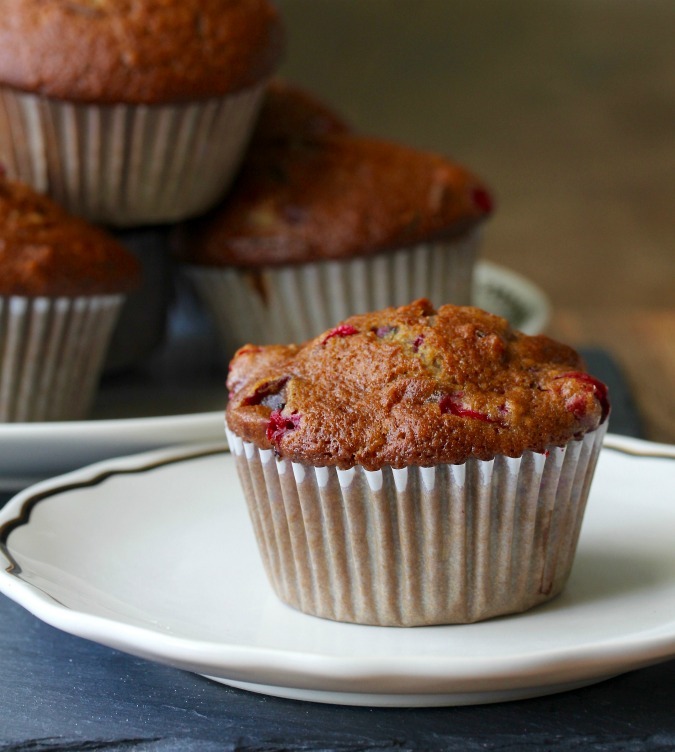 Who doesn't want a muffin that stays fresh longer, right? You can try reviving it. If it doesn't smell bad (it should have an alcohol smell, which is fine), you can revive it. If you have a tablespoon of rye, add that. I've gone several weeks on occasion and it always comes back! Oh no!! Yes, they're like marbles when they are frozen! I can always count on you for above and beyond sourdough recipes Karen. These look so darn tender and delicious. I absolutely love that you've found a use for the "throwaway" starter. It kills me, just dumping it every week. Will definitely be using this as a base recipe for whatever fruit I have that's about to go, so I can make this a No Food Waste two-fer. Thanks Jordan! I try so hard to not throw too much of it out if I can work it. I've never thought of the idea of sourdough muffins! These sound amazing! Thanks for providing a way to make these without the starter (because yes I failed on the one you gave me)! “You never know when you’ll have a cranberry emergency” too true! I buy a couple of extra bags at Thanksgiving, too. I love them in smoothies! My first thought was, "Wow! That's a gorgeous colour on those muffins!"